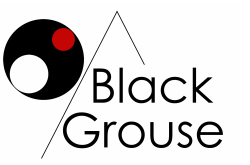 Black Grouse was established to bring a fresh approach to guided walks in the high places of England and Wales. We aim to tailor our walks to match an interest that you may have and take time to ensure you get the most out of your time in the hills. Our tours and holidays are great way to meet new friends and develop a deeper understanding of the landscape you are passing through. Our training programmes take the same relaxed approach to ensure that you get everything you need to keep you safe and happy in the hills. Tony Greenacre has been leading groups into the hills for over 20 years. He has worked in Outdoor Education and Group Travel. He is a qualified Walking Group Leader, Hill and Moorland Guide, a member of the British Mountaineering Council and the Mountain Training Association. Black Grouse Tours was established to share his passion for the wide open spaces of Britain's hills.